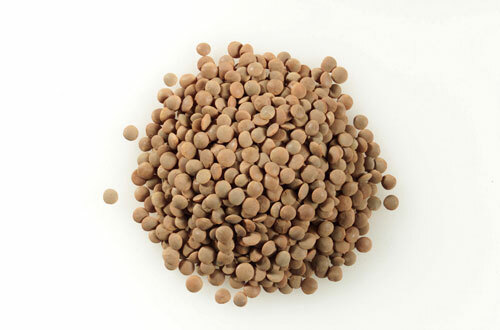 Lentils are a recently introduced crops in Saskatchewan agriculture. Agronomy, the science of field crop production and soil management, is concerned with determining the best way to grow crops and manage the soil. In Saskatchewan, agronomy has changed significantly since the land was first farmed over 100 years ago. At present the province has one of the most advanced dryland crop production systems in the world. When the Saskatchewan prairie first came under cultivation, the Pioneers brought with them agronomic methods from their homelands in America and Europe. These methods included deep ploughing of the land; in addition, it was soon recognized that there was insufficient rainfall to grow a crop, and that therefore the land should lay fallow for a year to save a portion of the rainfall that fell that year. Tillage was done during this summerfallow period to control the Weeds. Summerfallow allowed for more stable yields of high-quality Wheat, and farmers soon gauged their management ability on their capacity to maintain their summerfallow fields as weed-free as possible. 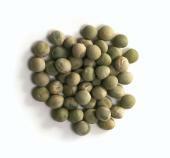 Peas are a recently introduced crops in Saskatchewan agriculture. During this initial phase of agriculture, the dust mulch system of tillage also gained popularity. Advocates of this system believed that pulverizing the soil into a fine dust with repeated tillage would allow capillary action to draw up deep moisture reserves, making them available to plants; we now know that this is not true, as plant roots are very effective at taking up moisture from deep in the soil profile. In fact, the combined effects of deep, intensive tillage and summerfallow dried the soil and left no protective layer of plant residues on the soil surface: this allowed the wind to literally blow away the topsoil in many areas. Combined with drought, this unsuitable agronomy resulted in the dust storms of the “Dirty Thirties.” These Dust Storms were so intense that they were often known as “Black Blizzards” and often completely covered fences with soil drifts. The Prairie Farm Rehabilitation Administration (PFRA) was formed at this time to address the problem of soil erosion. Researchers quickly recognized that the practices of black summerfallow and excessive tillage were causing soil erosion. They learned that if the straw and plant residue from the previous year’s crop was left on the soil surface, it would slow the wind and protect the land from erosion. However, tillage was required to kill the weeds, which were capable of using much of the precious soil moisture. The Noble blade was developed to allow for tillage to kill weeds but still keep plant residues on the surface. This stubble mulch system allowed for tillage but did not invert the soil, so that much of the previous crop’s plant residues remained on the soil surface. The PFRA also promoted planting shelter belts of Trees around agricultural land in order to reduce the wind speed and therefore soil erosion. Through the efforts of the PFRA and others, soil erosion was reduced in Saskatchewan. However, it was not until the development of no-tillage cropping systems that the problem could be almost eliminated. No-tillage cropping systems are also known as zero-till and direct seeding. The herbicide glyphosate is applied before seeding to kill the weeds, and the farmer plants directly into the crop residue (stubble). Initially the seeders that were available were unsuitable for planting into the crop residue: plugged with straw, they could not place the seed evenly in the soil. However, Saskatchewan farmers and machinery manufacturers soon began producing seeders which allowed them to plant efficiently large areas of land directly into standing crop residue. The farm equipment produced by companies such as Flexi-coil, Bourgault, and Morris is now recognized as some of the best dryland farm equipment available worldwide. The direct seeding cropping system has allowed farmers to produce crops on large farms with very little risk of soil erosion. Other benefits to this system include a reduced reliance on summerfallow, since this system is good at conserving water. How summerfallow is managed has also changed, as farmers can now use chemical for weed control instead of tillage operations. The crops that are grown in Saskatchewan have changed. wheat has always been the most important crop, but its importance has diminished. The quality of wheat produced is among the best in the world in terms of protein, thanks to good wheat varieties and a semiarid climate. In the early 20th century, Saskatchewan farmers such as Seager Wheeler became famous for their world championship wheat. Saskatchewan has always produced other crops such as oats, Barley and Flax. However, the 1970s saw the beginnings of crop diversification with the large-scale production of rapeseed, which later became know as canola. Following this, lentils and peas were introduced: Saskatchewan is now one of the largest lentil producers in the world, and further crop diversification has continued with the introduction of chickpeas in the late 1990s. The management of crops has intensified in recent years. Up until the 1960s most crops were grown on land that had been summerfallowed the previous year; because of this farmers did not apply fertilizer and pesticide inputs. As decades of summerfallow have now exhausted the easily mineralized soil organic matter from the land, most farmers now apply synthetic fertilizers to increase yield. In addition, pesticides are used to control unwanted weeds, insects, and Plant Diseases. The farm input supply industry now employs many agronomists that assist farmers in the management of their crops. Saskatchewan is also a major producer of organic crops; in this system, synthetic fertilizers and pesticides are prohibited, and producers seek to manage the land in a more holistic manner. Increased consumer demand for organic produce has resulted in the rapid expansion of organic production. Although modern agronomic methods have reduced environmental problems such as soil erosion, many challenges still exist. Modern agriculture is the third-largest industrial segment producing greenhouse gases. The pesticides used in agriculture have in the past damaged wildlife. Furthermore, the Biodiversity of modern agriculture is very low, as one of the goals in agronomy is usually to kill all other plants except the crop; most plant ecologists, however, recognize that greater biodiversity allows for a better functioning ecosystem. Finally, as most annual crops have a living cover on the land for only a few months of the year, fertilizer and soil nutrients can easily be lost from the system. Through the work of scientists in the area of agronomy and ecology, these remaining challenges may be surmounted in the future.